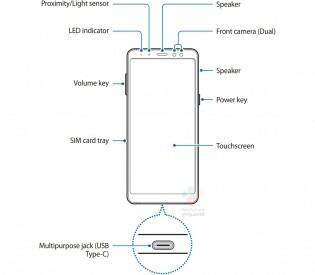 The Samsung Galaxy A8 (2017) - formerly known as the Galaxy A5 (2018) - is turning out to be one of the worst kept secrets in tech. We know what it will look like as well that it will use an 18:9 Infinity Display and a 14nm Samsung Exynos 7885 chipset. Now a few snaps from the Galaxy A8 (2018) manual confirm the design and the fact that there will be no physical Bixby button. 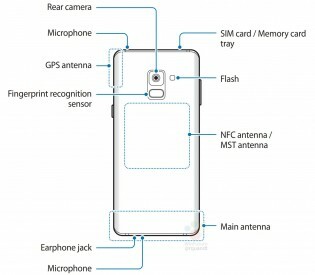 The manual also confirms that there will be a headphone jack and a single side-firing speaker. The fingerprint reader is centered under the single camera. The manual also mentions a dual selfie camera, which would make this the first Samsung smartphone with a dual front-facing camera. 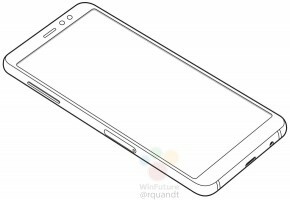 The Samsung Galaxy A8 (2018) shuold launch early next year alongside the bigger Galaxy A8+ (2018). How to use Bixby on A8 2018?